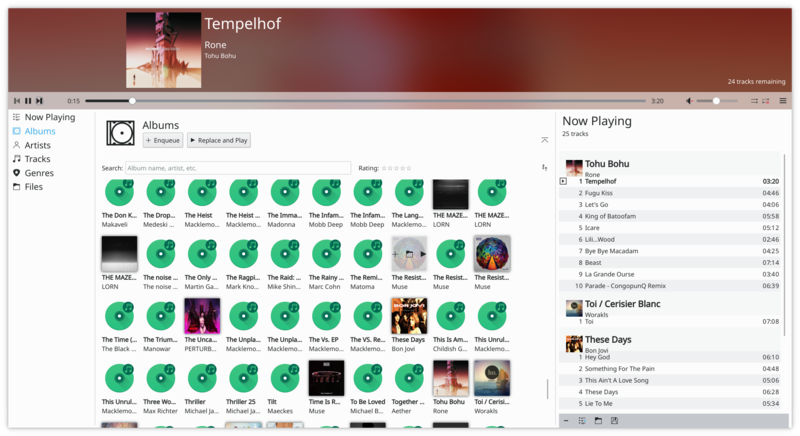 Elisa is a music player developed by the KDE community that strives to be simple and nice to use. Elisa is focused on a very good integration with the Plasma desktop of the KDE community without compromising the support for other platforms (other Linux desktop environments, Windows and Android). Elisa is in beta. The changelog is accessible on the community page. This page was last modified on 1 October 2018, at 12:39. Content is available under Creative Commons License SA 4.0 unless otherwise noted.